J-dolls are top fashion models who travel around the world, their name is based on famous streets which corresponds to their fashion style. J-Doll is a fashion doll line that was originally produced by Jun Planning and was later produced by Groove. They are 1/6 fashion dolls and are approximately 10 1/2 inches tall. The line debuted in 2007 and was released up until 2013 when the line was discontinued. A total of 62 J-doll releases were made, a 63rd release Province had been announced but was canceled. J-dolls released from 2007-2008 shared the Type 3 Pullip body, starting with Diamonte le Calle’s release in 2009 all J-dolls came on the Type 4 Pullip body. 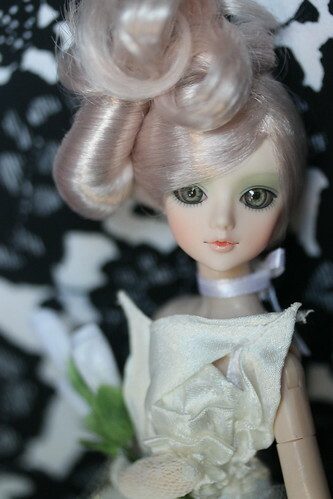 As they share a body with Pullip, they can also share clothing with Pullip. I have just discovered these dolls and am interested in finding more. Where can I find more at reasonable prices? My hope is they will make more! I will not be reselling them to make money. I just love them!